A rainbow polymer's grated surface, in sunlight, under a microscope. For wounds, shades of red correlate to different proteins, some of which are more vital to a wound healing properly, which can inform doctors of needed treatment. Vibrancy in the polymers comes from tiny gradations in the plastic. “If you look at butterfly wings, many butterflies don’t actually have pigment. Their color comes from structure,” Cartwright says. 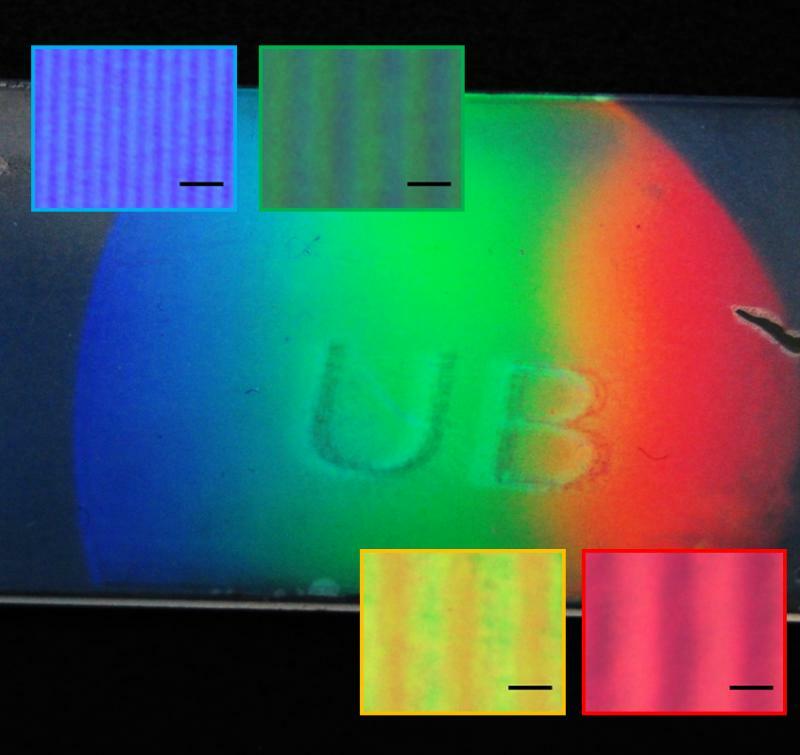 Because the technology can be reproduced so cheaply, Cartwright says it can improve many existing items, like clinical imaging, especially in third world countries, cameras, and even to identify the true color of paint. Patent applications for the rainbow polymers have been filed, but Cartwright is quick to caution that the technology is still in its early stages. On the latest Innovation Trail report for New York NOW, we met a pair of entrepreneurs who are using mushrooms to transform the way people think about waste. 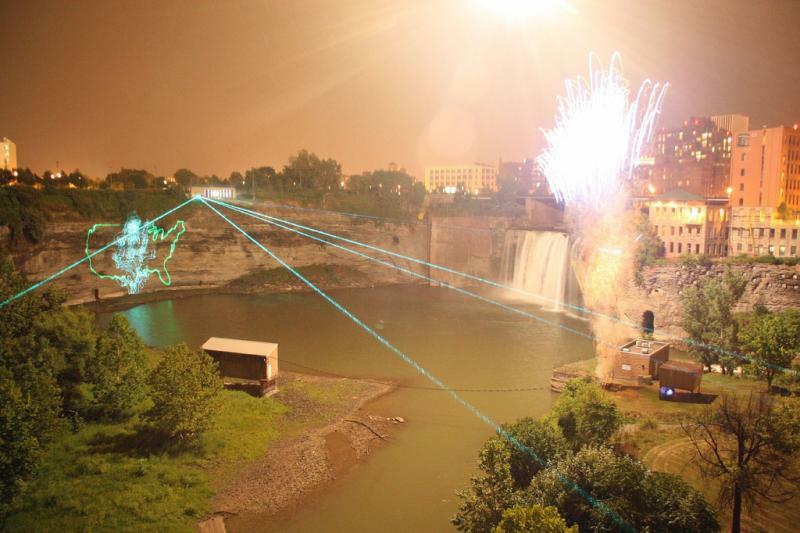 For those of you who haven’t been following LaserFest, 2010 is the 50th anniversary of the laser. 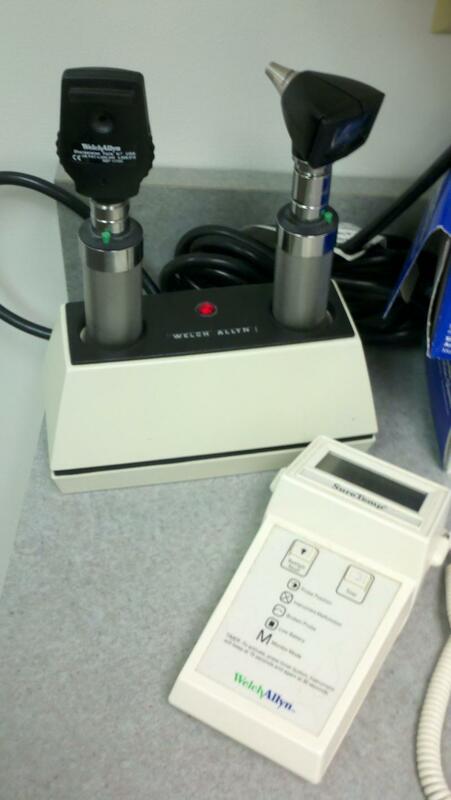 Medical device manufacturers in Central New York, like Welch Allyn and ConMed, could face more rigorous FDA regulations for getting new products on the market. That’s according to the medical device trade group AdvaMed. Consumer advocate groups disagree, and say the current structure is too lax and lets unsafe products getting to the market place.